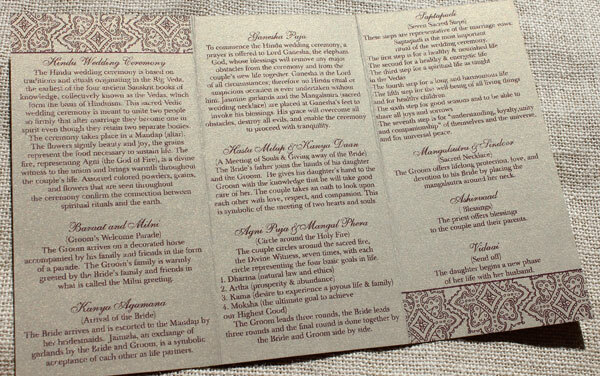 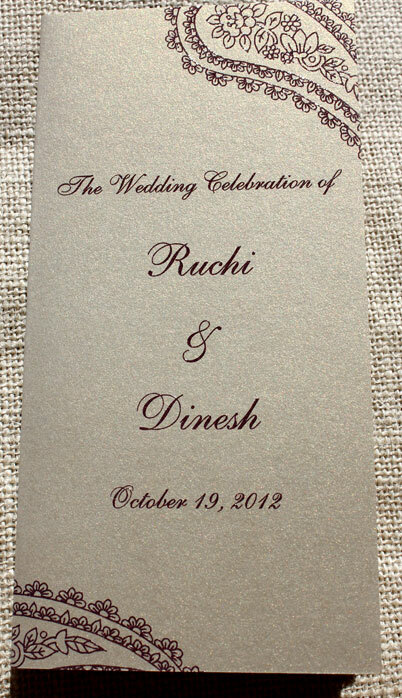 I worked with Ruchi's lovely Mother in Law Debbie on these gorgeous tri-fold Hindu Wedding Ceremony programs. 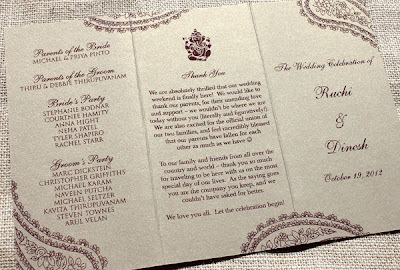 We carried over the paisley motif from their invitation suite, printed everything in a plum purple thermography on a gold metallic card stock. Don't you love the way the paisley dances on & off the page!